Sessegnon set for Fulham departure? 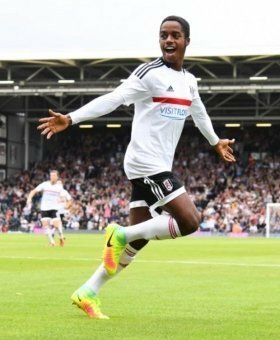 Man Utd are rumoured to be in the race to sign Fulham's prized asset Ryan Sessegnon. The highly-rated youngster, who is considered by many to be amongst the best teenagers in the Premier League, has also been linked with a move to Chelsea and Tottenham but it is understood that Manchester United have been appointed favourites to sign the England youth international. Sessegnon's first-team opportunities have been somewhat limited at the Cottagers in recent months and a poor spell of form from the club sees the team facing likely relegation to the Championship, save for a reversal of form under coach Claudio Ranieri. Even staying in the Premier League is likely to prevent the rumours regarding Sessegnon from disappearing and it is understood that United are in pole position to sign the versatile midfielder, who is valued by his club at around £40 million. Sessegnon, who is also comfortable playing in defence or in attack, has seen his stock rise after impressive England youth international displays but is said to be looking for a move elsewhere in order to continue the next step in his young career.